We’ve provided commercial window cleaning to clients since 1985. Some of our original clients are still with us. Our aim is always for client satisfaction and for you to have clean windows throughout the year. We have our own man anchors which can be used by our high access operatives for fall arrest or fall restraint methods, ensuring safety at all times. Is your business committed to sustainability? Have you installed solar panels with the aim to reduce your energy bills? Regular gutter cleaning and maintenance is essential to keep your building free from irreversible moisture and water damage. Pressure washing provides the most effective way to clean outside areas. We offer pressure washing and external building cleaning to remove everything from mould to dust and dirt. Due to our vast experience within the commercial window cleaning industry we are able to offer advice on the safest solutions to access and clean windows on new and existing buildings. 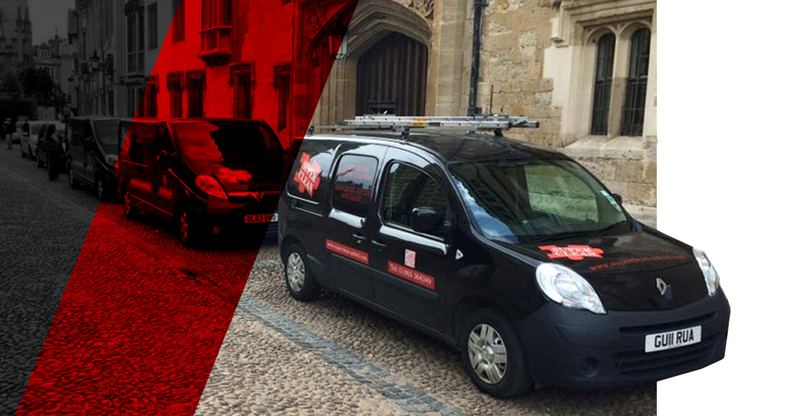 Being based in Oxford, Super Clean South Ltd provides an efficient service across the Midlands and the south of England. Our services include window cleaning, pressure washing, external building cleaning and solar panel cleaning Inspections. We’re commercial window cleaning specialists, and we’ll leave your building looking at its best. Windows cleaned with our Reach & Wash System will even stay cleaner for longer. We’re passionate about what we do, and it shows in our work. “Thank you for doing such a great job on cleaning our windows and canopies. Our staff noticed the difference straight away and it was lovely to start the Summer term with everything sparkling! Your pressure washing has also made walking round our site a much more pleasant experience for our children, parents and staff. We look forward to working with you again”. Keep it Clean With Super Clean!